The hole in the middle of the table top keeps your parasol in place. Comprises: Table (min. length 140 cm, length 200 cm, max. 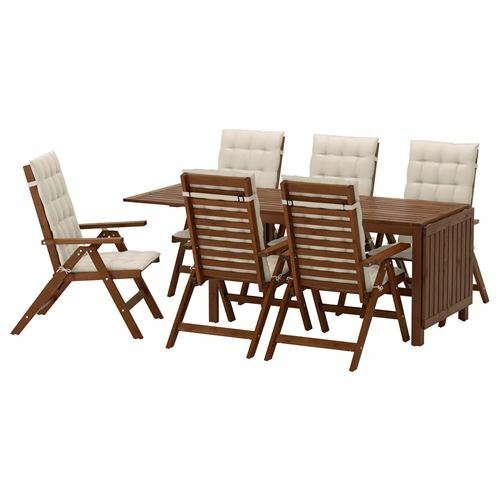 length 260 cm, width 78 cm, height 72 cm) and chair (width 63 cm, depth 80 cm, seat width 44 cm, seat depth 48 cm, seat height 41 cm, height 101 cm). Centre filling:Polyurethane foam 25 kg/cu.m.